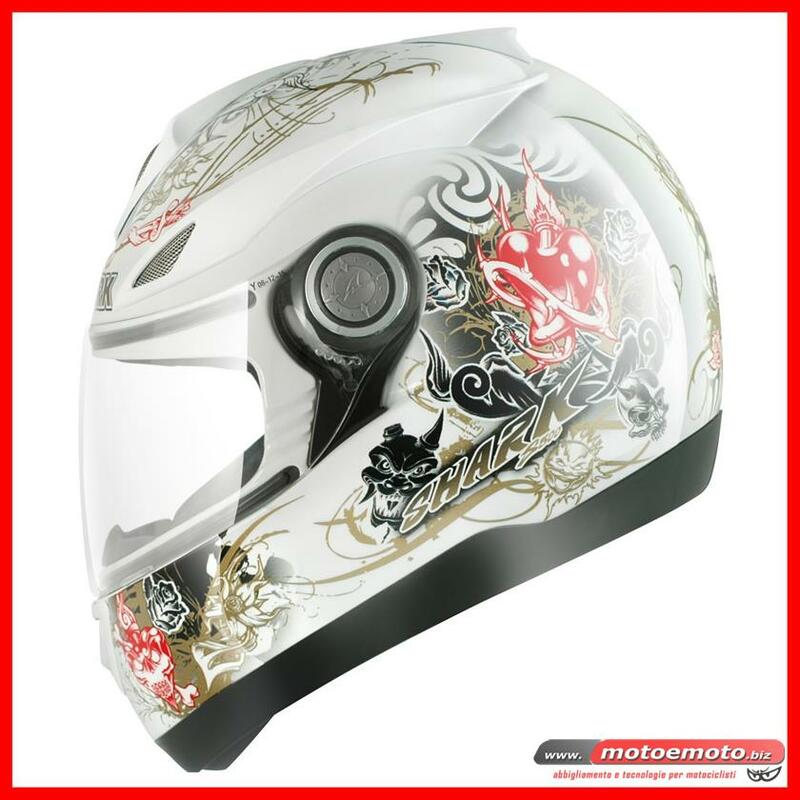 S500Air Make the difference, choose the extreme look of an innovative design helmet. The S500 Air affirms your personality and your racing spirit. You will not be able to resist its graphic, trendy and exceptional beauty. 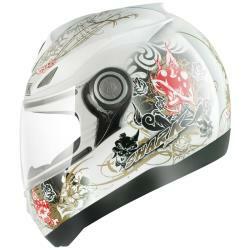 technical features: Injected thermoplastic resin shell. Multi-element polystyrene with different densities. Circulation of air flows through integrated channels. Scratch-resistant 2.2 mm visor. "Push One" quick visor system patented by Shark. Advanced racing ventilation system consisting of multipoint air inductors and rear venturi effect deflector. Stainless steel air intake protection grilles. Microfiber interior. Chin strap with quick release. External painting with anti UV treatment. Weight: 1,450 g (± 50 g).